Last week I once again heard the two extremes of owning the artist in all of us from students I was working with. One girl enthusiastically exclaimed that she was an artist, listing all the creative endeavours that she enjoys, while the other girl, cold faced, despaired at how ‘bad’ she was at art. One of these outlooks owns and celebrates the process of creating, while the other judges and stifles an expressive contribution before it has even begun. Too often we sell out our creativity and all the gifts it provides us and others in our lives. I’m just not creative! I don’t have time for that stuff! I like things to be and look perfect! It’s just too messy! But whether we like it or not, we are all creative beings. It is not about comparing or judging our expressive contribution against another, it is about owning and celebrating the artist that lives inside and letting it speak through empowered thoughts, words and actions that make a difference in our own or others lives. Do you find the idea of creativity freeing? confining? vital? a luxury? who you are? leave it for someone else? What about the idea that you are an artist, regardless of how your expressive contribution shows up in your life? How many ‘things’ in your life have you assigned meaning to that if they were looked at in a different way could make a difference in how you interact with self, others and the world around you? 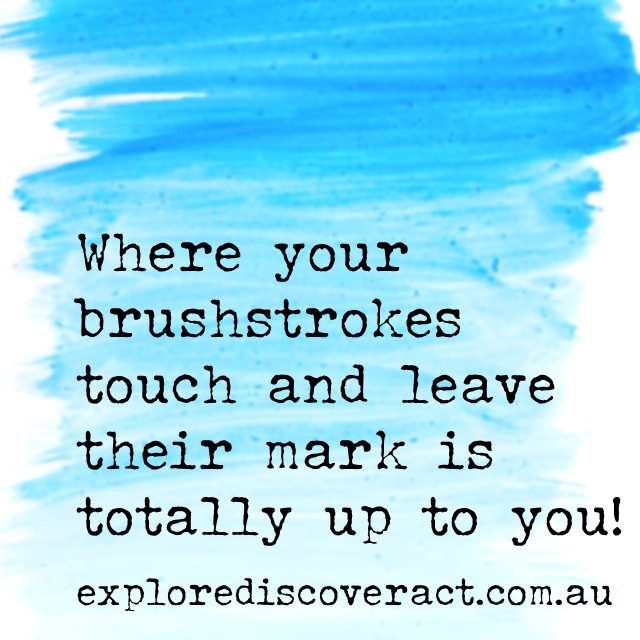 So as you consider your own canvas that is life, what choices are you making about where your brushstrokes touch and leave their mark? Enjoy becoming more mindful this week about where creativity is showing up in your days and exploring ways that you can open yourself up to hear and act on a truly human calling to express ourselves fully. His hand shot up enthusiastically and then quickly retreated. His face told me there was something there to be shared but the participant just wasn’t quite sure or his connection hadn’t fully been processed yet. I offered an opening within the group debrief but it was passed up, then encouraged him to consider sharing when I would check back in after a couple of others had expressed their views. Two participants verbalised their own connections and then I saw the hand fly up again. “I’m not sure if this is important but … ” is how the very important example started. This sequence happened just the other day within one of our L.E.A.D. with Courage™ Program days. I am constantly inspired by and in awe of the inner wisdom, observations and understanding that the Stage 3 participants display and courageously share throughout the various challenges, experiences and activities that make up the program day. This moment, just like so many others that I could reflect on from any of our program days, was such a powerful reminder for the Year 5 cohort that I was working with and has also had me reflecting ever since. What examples come to mind for you from your own or others lives where the hesitation was experienced but something deeper said, “I’m not exactly sure but it is worth the risk of rising to the occasion in front of me”? What inner wisdom, observations or understanding must be shared by you within your spheres of influence or what openings can you create for others in your life to express themselves as well? How does Suzanne Weyn’s quote, “Your life is an occasion. Rise to it.” resonate for you within your journey of potential, reflecting on its impact to the deepening of connection to self, others and the world around you and your ability to make a difference in your own and others lives? The individual and collective journey sees us navigating many vulnerable and complex moments. Our values, beliefs and attitudes act as anchors of reassurance to rise to the occasion in front of us, giving us the courage to explore the possibilities, discover potential and act authentically. Below is an interesting personal manifesto from many years ago that provides some food for thought as we explore this theme this week. What is it that guides your daily thoughts, words and actions as you strive to embody “Your life is an occasion. Rise to it.”? When you think about someone who inspires you, what are the first things that come to mind? Maybe it’s because of the difference they made/are making in their own or others lives. Maybe it’s because of the way they were resilient throughout adversity or lived/live their values courageously along their journey. Or maybe it’s as simple as the smile and kind words that greet you or anyone else that crosses their path. Each of their thoughts, words and actions, just like our own, have been impacted by their experiences, the way these are processed and the varied influences that have played a part in moulding how they look out at and then show up in their life. 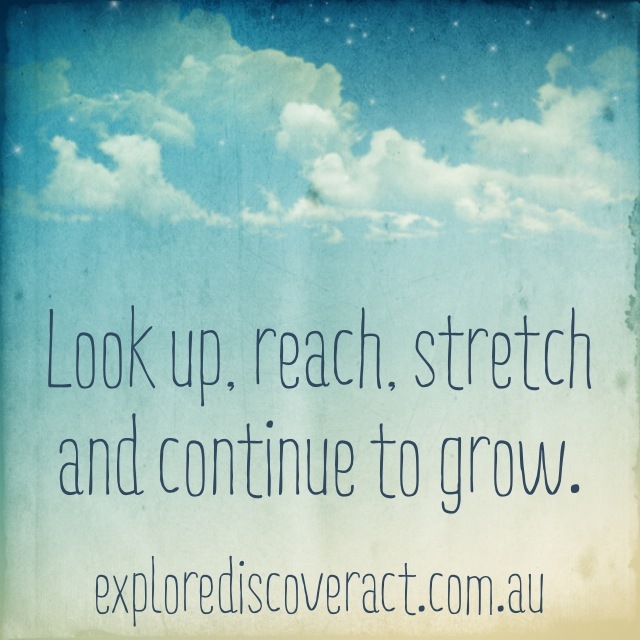 Exploring the possibilities, discovering potential and acting authentically. That our daily thoughts, words and actions matter. That our journey will involve both successes and challenges, remembering that, “Success is not final, failure is not fatal: it is the courage to continue that counts” – Winston Churchill. We are all capable of making a difference in our own and others lives. Consider the lens that you look out at the world through. In what ways is it influencing your interactions with self, others and the world around you each and every day? 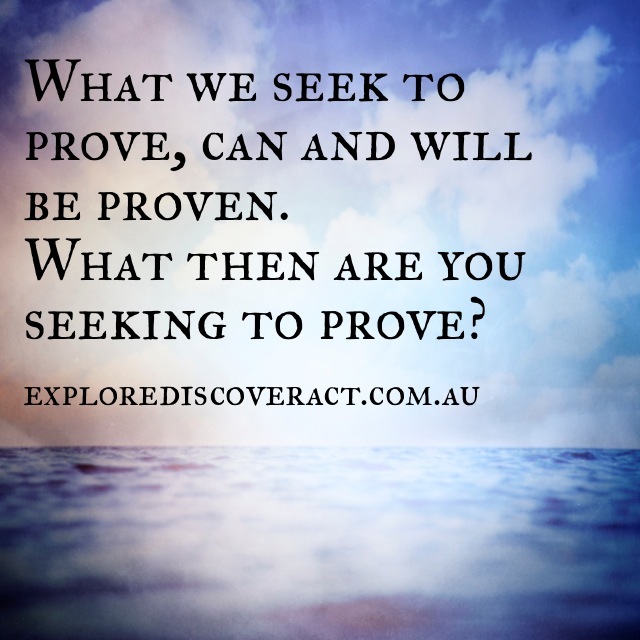 What are your thoughts, words and actions proving as you navigate the successes and challenges that will inevitably be encountered? Life really is an incredible adventure, with each choice after choice providing opportunities to ‘be the change we wish to see in the world’. Just Because It’s Legal, Does It Make It Right? Some people, especially in business, military or political settings, may describe our world using the acronym VUCA. It stands for Volatility, Uncertainty, Complexity and Ambiguity. There are plenty of examples that one could cite to argue for any of these descriptions within our 21st Century existence. How then does ethics, morals and values play out in our choices as individuals, communities, governments and corporations while navigating our VUCA world through interactions with self, others and the world around us each and every day? How often do we react instead of respond through individual or collective thoughts, words and actions? As humans we experience an interdependent journey full of successes and challenges, resulting in a vast array of emotions being felt. As seen in the beginning of the short video above, the enormity of a VUCA world can see certain negative emotions becoming elevated or heightened, thus dominating our patterns of behaviour through a reactive mindset. If you have ever turned on the nightly news, heard an intimidatory and discriminatory remark being thrown around, or pondered frustratedly the pace of change around an issue you were passionate about, you would know acutely the human feelings that have the potential of inciting a reaction instead of a response. A reaction is where we let our emotions take the driver’s seat. We can be swept up in moments of fear, humiliation, anger or shame. This can result in an individual or group lashing out or becoming apathetic from a place of believing they do not have any other option or choice in a given situation/s. That individual or group may become combative and defensive, or breed greater disconnection and inaction, believing the ends justifies the means. This is very damaging to the depth of connection possible to self, others and the world around us in any given moment and impacts our ability to make a difference in our own and others lives. We have all developed patterns of behaviour that have been influenced by many different forms of cultural conditioning. Whether it be within our families, the institutions and sectors of society we engage with, or the powerful media or marketing messages that we are bombarded with, each of us are making choices and justifying those choices to ourselves and others from an interconnected and evolving foundation. Rules, laws, norms and standards are created to suit a particular viewpoint, outcome or perceived benefit at a given moment in human history. But underlying all this, when we truly listen to ourselves and others, is our core ethical beliefs and values, based on our shared humanity, wisdom and truths. I am reminded of Marcus Tullius Cicero’s, ‘The Six Mistakes of Man’, written so many years ago. In reading them today, within the context of our current VUCA world, they seem to be still very applicable and provide an opportunity to reflect on past and present lessons as we strive to foster responses rather than reactions and create a global village we can be proud of. As you read them below consider how our choices as humans move us closer to or further apart from all the things that give us the greatest contentment, satisfaction and joy in our lives. Not the things or possessions that can be accumulated but the deep connection and contribution that is possible for us all to courageously journey towards. I. The illusion that personal gain is made up of crushing others. II. The tendency to worry about things that cannot be changed or corrected. III. Insisting that a thing is impossible because we cannot accomplish it. IV. Refusing to set aside trivial preferences. V. Neglecting development and refinement of the mind, and not acquiring the habit of reading and study. VI. Attempting to compel others to believe and live as we do. The choice to respond rather than react is open to us all. We will not always get it right but we can accept our own personal and shared responsibility as we align our thoughts, words and actions with the values that underpin fair, just, compassionate and connected communities. We can’t control what may happen in the enormity of a VUCA world but we can definitely play our part in ‘being the change we wish to see in the world’, remembering like is outlined in the video above, ‘The Future is Ours’. That word ours I believe is an important starting point for any response, a call to be and inspire in others ‘informed, connected and empowered individuals believing deeply in their own and others potential’.